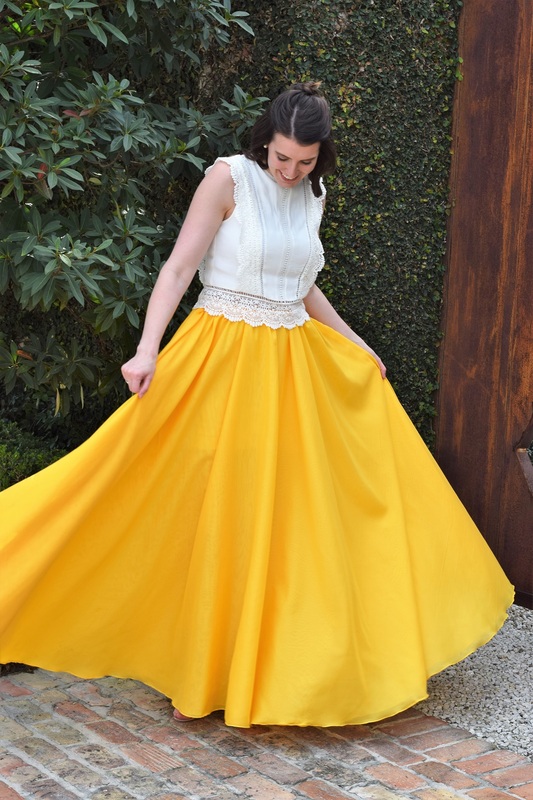 I’m going to go ahead and say that the alternative title to this blog post, or the nickname if you will, is the Belle skirt. Growing up I would shriek at my mom to put on “Beauty Beast” pretty much any time I found myself in front of the television. The songs, the story, and that yellow dress were all I really needed in life. Now that I’m older, not much has changed. I still love Beauty and the Beast and cannot wait to see the movie! (No, this is not a sponsored post for the new movie.) I always dreamed of being Belle – the smart and strong-willed woman who was brave and beautiful and sweet. 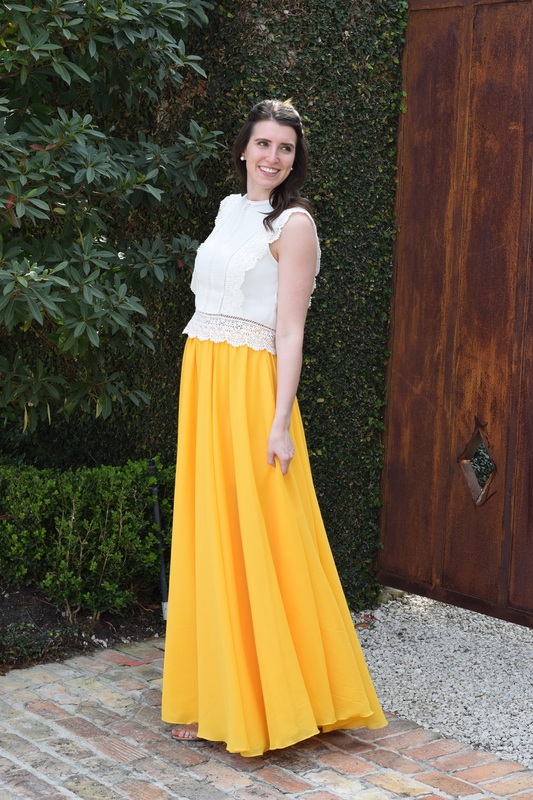 Do I have a reason to wear a full yellow gown? Maybe not so much. But I can 100% guarantee that I will rock a maxi skirt at any opportunity that’s given! 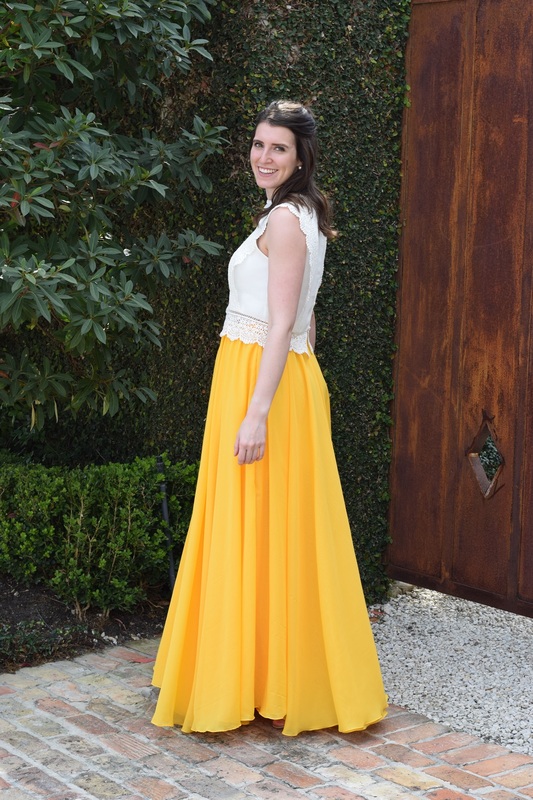 Taking a more modernized approach, I used 13 yards of sunflower yellow chiffon to create a double layered circle skirt. For even more volume, I also ruched the top by giving it an elastic waistband. I really needed it to come alive as I twirled! I see myself wearing this to at least one of the many summer weddings I have coming up. I would also like to note that I made a horrible dress out of chiffon about 5 years ago and swore off using it ever again after that day. For this project I did a TON of research to learn the best way to handle it and it went so much more smoothly! I’ve listed my tips on the instructional post on Fabric Wholesale Direct’s site so make sure to head over there to check it out! 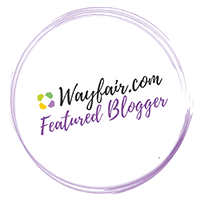 Thank you to Fabric Wholesale Direct for sponsoring this post. All DIY ideas, designs, and opinions are my own. Fabulous! I have been sewing for some time, and you are a great seamstress. Love your blog and instagram! !